Make the most of a Prime membership during the holiday season with these early Amazon Black Friday deals. The holidays are quickly approaching. After paying for a Prime membership, you might as well make it worth it by signing up for some of the free or discounted trial services they're already offering. You don't have to wait until Black Friday to get some great deals. Amazon is already offering discounts on a variety of their services and products, but you'll need an Amazon Prime membership. If you don't already have one, now's the time to sign up for a 30-day free Amazon Prime trial. Shopping on the 22nd? These are the best Thanksgiving deals 2018. 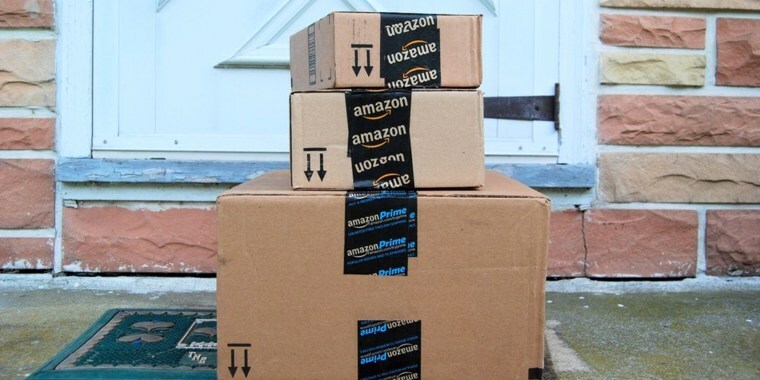 It's well known that Prime members get free two-day shipping on most purchases. But, some Prime member perks are less well-known: Amazon Prime members have access to two-hour Prime Now shipping in major cities, free music streaming, movies and TV shows on demand, discounts at Whole Foods, unlimited cloud storage for photos and Prime Wardrobe access. So, if you've opted to shell out for a Prime membership, it might be worth it to take advantage of the free or discounted services they're offering for the holidays. 12 different Amazon product categories and services are already available at a discounted price for Prime members now. And, you always have the option to cancel a subscription right after the trial period is up. Just scroll down to learn how to save now. The countdown to Black Friday has begun and starting now you can shop early Black Friday deals across multiple categories and get free shipping on millions of items with an Amazon Prime membership. Items on sale include everything from an air fryer to an Echo Dot. During the month of November, you can get three months of Kindle Unlimited for only $0.99 (regularly $30). With a Kindle Unlimited subscription, customers can enjoy unlimited access to more than one million books, current magazines and audiobooks on any device that can support the Kindle app. Amazon offers a free 30-day trial. You can also take advantage of the free Kindle reading app on most devices. Amazon Fresh is basically an online supermarket. The grocery delivery service is available exclusively to Prime members for an added fee of $11 per month, but you can try it out first if you sign up for Amazon Fresh's 30-day free trial. Amazon Music Unlimited allows you to listen to tens of millions of songs on any device. If you want to test it out, sign up now for a free 30-day trial. And beginning on Nov. 15, for a limited time, new subscribers to Amazon Music Unlimited can get three months for only $0.99 (regularly $8 per month for Prime members and $10 per month without Prime). This is one of Amazon's only subscription services geared specifically for kids. For $3 per month, kids get access to thousands of e-books, audio books, movies, TV shows, educational apps and games, which parents can monitor using built in parental controls. Right now, you can sign up for a 30-day free trial. This digital subscription is available on Fire tablets, Kindles, the Echo Show and Android or iOS devices. One year of FreeTime Unlimited is also included with the purchase of the Fire Kids Edition Tablet. Stock up for the holidays and save 20 percent off some of Amazon's exclusive household brands. You can cut costs, not quality, with this wide range of essentials from coffee pods and trash bags to face wash and vitamins. Get unlimited free shipping on orders over $35 with a Prime Pantry membership. Prime members can sign-up for a free 30-day trial. Now through Nov. 6, you can save big on select Amazon Devices in celebration of Alexa's fourth birthday including $20 off the Fire TV 4K Stick + Echo Dot bundle, $20 off Echo, $30 off Echo Spot, $10 off Echo Dot Kids Edition and more. Audible members now get two Audible Originals and one audiobook every month! You can sign up now for a free 30-day trial. After the trial, the service costs $15 per month. And if your preferred genre is romance then you can also try Audible Romance to get unlimited access to thousands of romance audiobooks. Sign up for the Amazon Family 30-day free trial and discover the best deals for households with kids. The membership program offers special benefits including 20 percent off diaper subscriptions, exclusive coupons and deals from Amazon Family, exclusive Baby Registry benefits, free two-day shipping on millions of items, unlimited instant streaming of thousands of movies and TV shows, unlimited ad-free streaming of over a million songs and more Prime benefits. You can give the gift of reading to a kid in the family with the Prime Book Box, a subscription service that delivers curated, hardcover children’s books every one, two or three months. The box is ideal for kids up to 12 years old. Now through Dec. 25, the service is listed at only $20 per box, Prime members can save up to 40 percent off, so make sure you're signed up for your free Prime trial. Get your home holiday ready with the help of Amazon Home Services. Now through Nov. 17, you can book a house cleaning, carpet cleaning, handyman services and more at discounted rates to make hosting for the upcoming festivities much less stressful.